Bill the Ice Cream Man came home last night right as I was going to bed so I stayed up a bit longer to chat. He fed us watermelon and promised coffee in the morning. I actually got up with my alarm this morning but then I had a hard time leaving the wood stove for the trail. It was in the 30s overnight and still hanging out there this morning for a while. Once I got back on the trail, it was a long climb up Smarts Mountain. 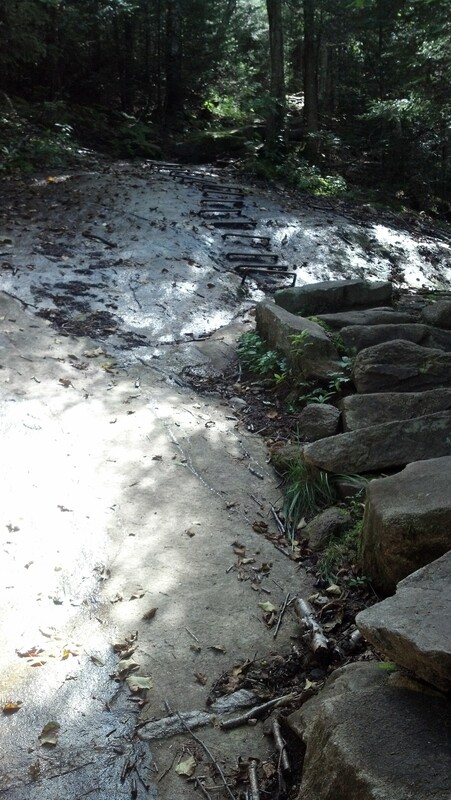 There were a lot of steep and rocky sections on the way, with one rock even having rebar steps to help get up it. 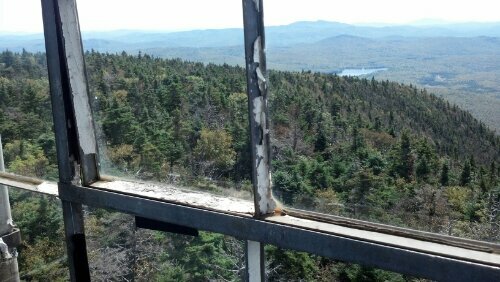 I made it to the fire tower at the top for lunch and spread out my tent to dry in the sun since I’d packed it up soaked from condensation this morning. The way down the mountain was easier and I made better time. Next it was up Mount Cube, an even steeper and rockier climb than Smarts. 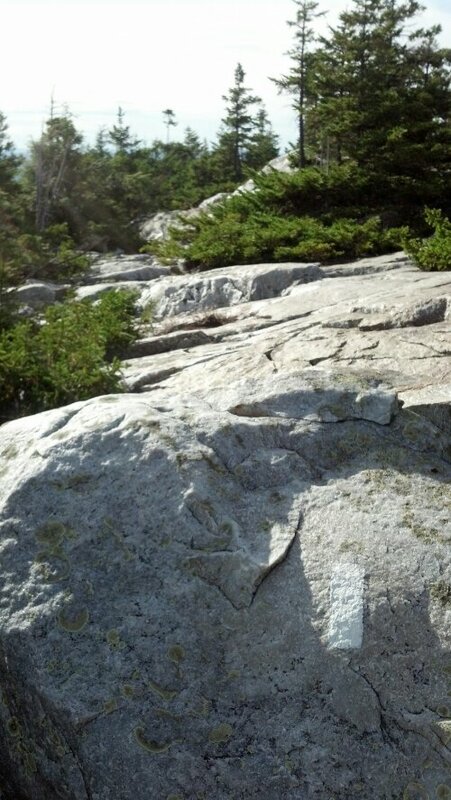 It wasn’t blazed very well but I managed to pick out the trail as it zigzagged up through the rocks. 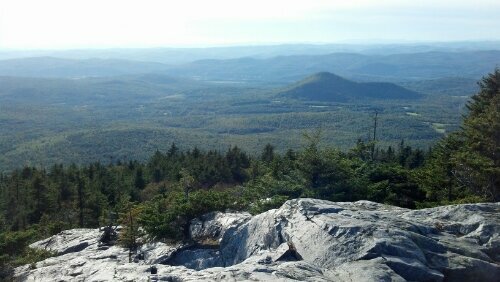 There were several false peaks but the top view was worth it. The way down was still rocky and steep, although not as bad as the way up. I didn’t make it quite as far as I had planned on today, but both mountains took longer than expected. We camped after 15.5 miles near what looks like the remains of a house. Hey sweets any idea when your adventure may end ?? ?